Five Queens women who police say stole merchandise from several Victoria Secret’s stores in Nassau were arrested Saturday and were charged with grand larceny. The thefts, police said, occurred on Jan. 24 and Feb. 2 at the retailer’s Hicksville, Oceanside and New Hyde Park stores. Police said the women “removed items from the shelves” without paying for them, but authorities did not specify what goods. 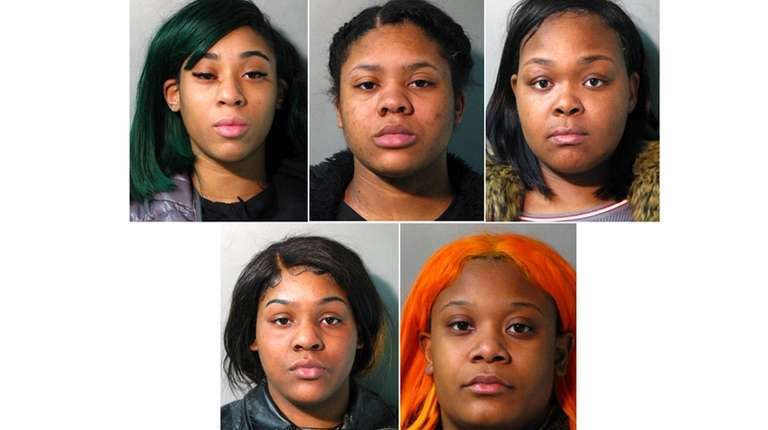 Ariel Phipps, 19, Adrian Phipps, 18, Adriana Phipps, 18, and Armoni Nesbit, 21, all of Far Rockaway, and Mariah Pearson, 20, of Arverne, were arrested. Police did not say if the three Phipps women are related.